One of the first sets that jumped out at me when I saw the catalogue was the Accented Blooms stamp set. It looks so good in so many different ways. It can be as simple as just stamping it like this card but, it also looks beautiful embossed and also colored in. So many options. And look at how great it looks in all the different in colors. Well all but one, which I'm making over on Facebook Live today - you can find the recorded version towards the bottom of this post. 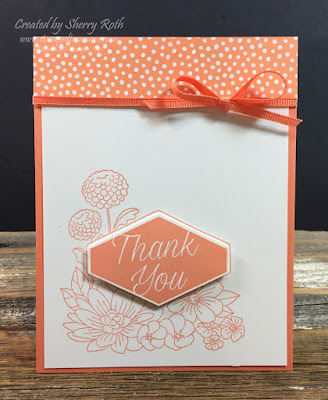 Making cards like this reminds me why I love Stampin' Up! so much. Everything coordinates. It's easy - we've got the cardstock, the dsp, the ink and ribbon all to match. 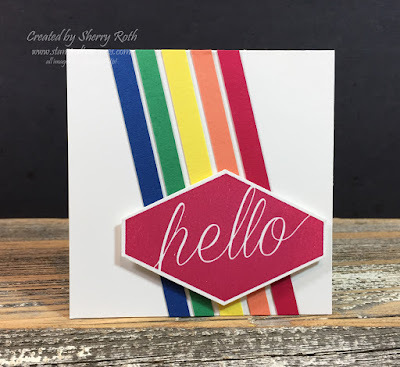 Here's another quick and easy in color card that I created. 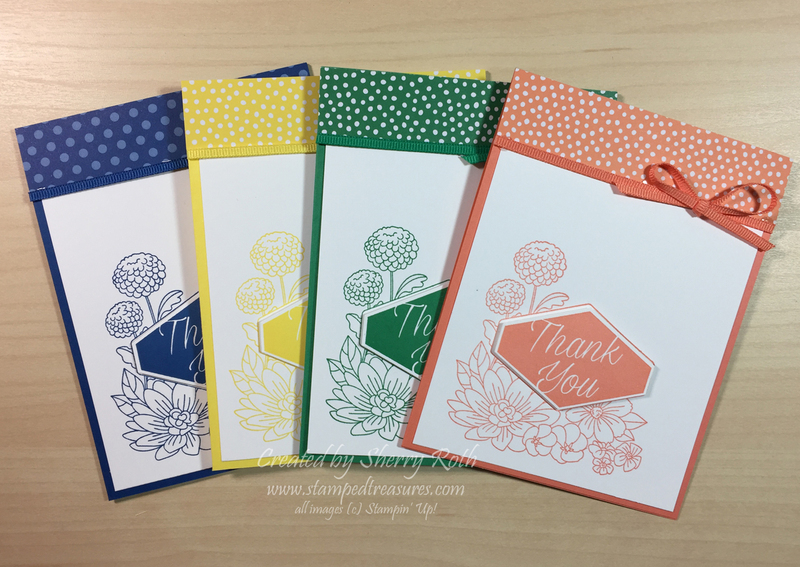 Both of these cards were the make and takes at my catalogue launch last week. This is a little 3x3 love note that will be added to my daughter's suitcase when she goes away next week. Whenever I go away without my kids, or my kids go away without me, I always like to put little surprises in their suitcase or leave little treats behind. It just lets them know that I'm thinking about them and that I love them. 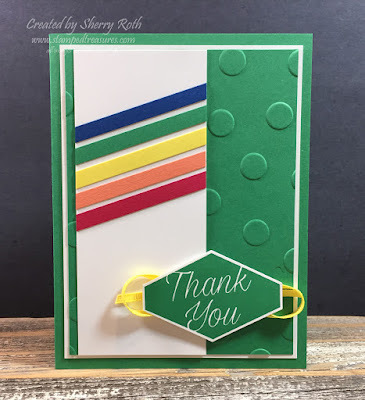 There is a great greeting in this set that says 'Big Ways, Small Ways, Love You Always'. I added this to the inside. I had a few kits left over after my event last week and decided to create an alternate. This is what I came up with. I love the rainbow and it's super appropriate with the Pride Parade tomorrow. I think I've got a few thank you cards to carry me through the next few weeks. I hope you were able to join me on Facebook as I made a couple of these cards live. I will be doing weekly Facebook Lives - next week we'll be talking about color and where to find inspiration. Hope you can join me (11am MST). and you'll receive a gift in the mail from me along with a thank you card.